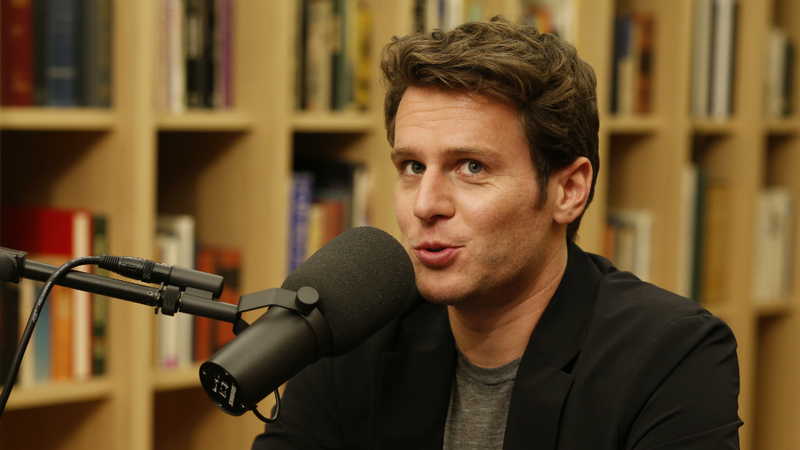 Jonathan Groff was born today March 26, in 1985. He is an American actor and singer. Groff rose to prominence in 2006 for his performance in the lead role of Melchior Gabor in the original Broadway production of Spring Awakening, for which he was nominated for the Tony Award for Best Actor in a Musical. He returned to Broadway in 2015 to play the role of King George III in Hamilton, a performance for which he earned a nomination for the Tony Award for Best Featured Actor in a Musical. He also appeared on the cast recording, which won the Grammy Award for Best Musical Theater Album. 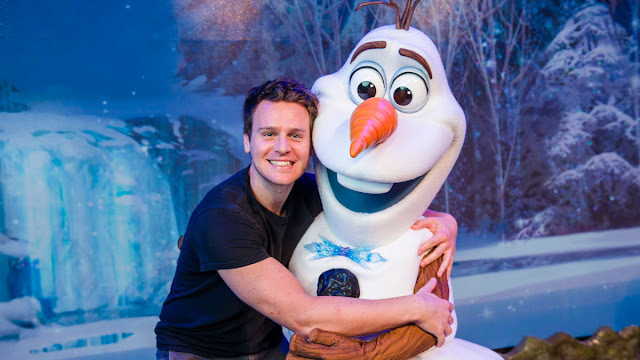 Groff is also known for his television appearances, such as Ian Todd in the Starz political drama Boss, lead-character Patrick Murray in the HBO series Looking, and its subsequent series finale television film, and the recurring role of Jesse St. James in the Fox musical-comedy series Glee. Since 2017, Groff stars as FBI Special Agent Holden Ford in the Netflix period crime drama Mindhunter. Groff was born in Lancaster, Pennsylvania. His father's family is Mennonite; of his upbringing, he has said: "My mother's side of the family is Methodist, which is how I was raised. It was conservative in that I had strong values – sitting down and eating with the family every day, listening to authority and going to church every week and having perfect attendance at Sunday school. But at the same time, my parents always encouraged my brother and me to be happy with what we were doing. My parents were athletes in high school; my mom and my dad were the stars of the basketball team, but they never pushed my brother and me to be anything we didn't want to be." Groff graduated from Conestoga Valley High School in 2003 and intended to attend Carnegie Mellon University, but deferred his admission for a year when he was cast as Rolf in a Non-Equity national tour of The Sound of Music. After the tour, Groff decided to move to New York City instead. He played the recurring role of Henry Mackler on the ABC soap opera One Life to Live. His storyline about a school shooting was cut due to the Virginia Tech shooting in April 2007, and Groff only appeared in 11 episodes. From July 22 through August 31, 2008, Groff played as Claude in the Shakespeare in the Park production of Hair. He also appeared as Michael Langin in Ang Lee's comedy-drama film Taking Woodstock. In 2013, he voiced the role of Kristoff in Walt Disney Animation Studios' 2013 film Frozen. Groff publicly came out as gay in October 2009 during the National Equality March in Washington. From 2009 to 2010, Groff dated actor Gavin Creel. From 2010 to 2013, Groff was in a relationship with actor Zachary Quinto. In April 2015, Groff was honored by the Point Foundation with the Point Horizon Award, which "recognizes a young trailblazer who has taken a leadership role as an advocate of the lesbian, gay, bisexual, transgender and queer community." In December 2015, he was honored by Equality Pennsylvania with the Bayard Rustin Award, which "recognizes a Pennsylvanian who is continuing the work to ensure that the LGBT community will be visible, accepted, and celebrated in our society."